Surrounded by the Rhône Valley, the Beaujolais and the Burgundy, Lyon is ideally located for any wine lover. The city is the perfect starting point to visit these famous winery regions. Lyon Taxi Prestige will guide you through the vineyards and will offer you the possibility to stop for a moment to admire amazing landscapes and views. After that, you will meet winegrowers who will talk about their job with passion. A wine degustation (with moderation!) will follow. Don’t worry about driving, we are taking care of that, let yourself be transported by your senses ! Do not hesitate to inform us if you want to visit a particular area so that we can organize everything. All of our tours are personalized according to your wishes and expectations in order to guarantee you the best time. We are taking care of the reservations following your suggestions (traditional or more fancy). If you would like to eat in a precise restaurant, we will gladly drive you there. Lyon is well known for its three rivers, the Rhone, the Saône and... the Beaujolais ! The "Beaujolais Nouveau" is a much-appreciated tradition celebrated everywhere in the world at midnight on the third Thursday of November. This wine enjoys a selection of vintages as various as excellent. If you ever drank a glass of Fleurie, Morgon or Côtes de Brouilly, it was just a small part out of the 14 different vintages. 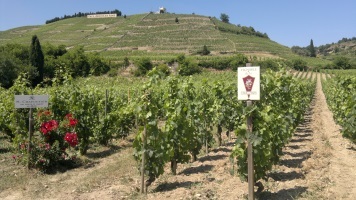 Two varieties of grapes can be found in the area of Lyon : Gamay for red wines and Chardonnay for white wines. We will gladly drive you through the gold colored stone villages and stop to admire the views, visit villages (Oingt, Bagnols, Beaujeu, Brouilly) and of course meet with passionate winegrowers. If you wish, we can also organize a balloon flight over the vineyards. You can either choose this flight early in the morning to admire the sunrise over the Alps or later on the day to watch the twilight casting across the vineyards. The flight lasts for approximately 60 to 90 minutes. To make the moment even more magical and unforgettable, a breakfast/aperitif with local products will be served at the end of the flight. 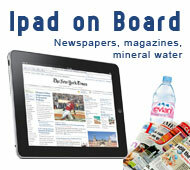 Your driver will pick you up at your hotel or the Lyon-Saint Exupery Airport and will head south. After a short thirty-minutes ride, you will arrive to Ampuis, the Mecca of the northern Côtes du Rhône where the very well known Côte Rotie vineyards are located. 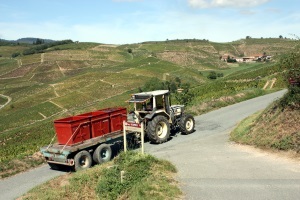 You will be driven through very steep slopes surrounded by the mountains and the vineyards (Côte Brune, Côte Blonde). Welcome to the Land of Syrah, the king-grape of Côtes du Rhône. As for the red wines, you will also find Grenache and Mourvèdre vineyards. 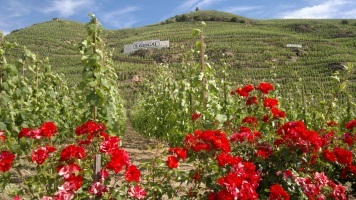 Still heading south, we will quickly make a stop to Condrieu, hillside village where you can find a famous white wine. Note: in this area only one grape variety is authorized: the Viognier. The other white wines are constituted with other grape varieties such as La Marsanne, La Roussane, La Clairette.. Going further south, we will drive through the Crozes, Hermitage, Saint Joseph and Cornas vineyards. An interesting idea will be to stop at Tain l’Hermitage and admire the view, which overhangs the whole valley. If you wish, we can go further down south and drive through the very well known Gigondas and Chateauneuf du Pape vineyards. The biggest wine producers will welcome you along with smaller one but brought together by the same passion: their profession. Meursault, Pommard, Romanée Conti, Montrachet, are those names ringing any bell ? Burgundy is the homeland of Pinot Noir. 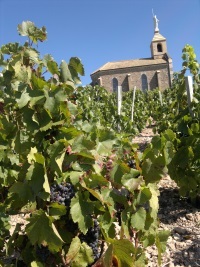 From this variety of grapes come the well-known Burgundy wines. 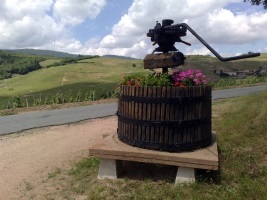 After driving through the Beaujolais, we will arrive in the Mâconnais known for great white wines such as Saint Véran or Pouilly Fussé and located close to the archeological site of Solutré. Due to this closeness, there is also a possibility to make a detour via the Abbey of Cluny. 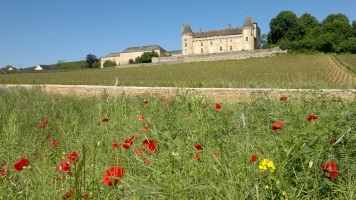 Heading north, we will arrive to the vineyards of the Côte Chalonnaise (Rully Givry). Feeling hungry? We can stop in Chagny to a famous gastronomic restaurant called « Lameloise ». If you prefer a lighter meal, do not worry; we also know a lot of less fancy restaurants where you can equally enjoy yourself. 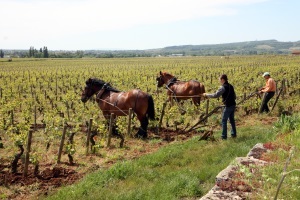 The ride continues and we will head north and arrive in the middle of the vineyards of the Côte de Beaune with villages such as Chassagne-Montrachet, Puligny-Monrachet or Volnay and Pommard. We will then go to Beaune, capital of the Burgundy wine where the famous Hotel Dieu is located and the Hospices de Beaune auction, which occurs every year on the third Sunday of November. Once we go through Beaune, we will also pass by several villages located in the Côte de Beaune such as Aloxe Corton, Ladoix and we will arrive to la Côte de Nuits with villages such as Nuits Saint Georges, Vosne Romanée (where comes from the really prestigious wine Romanée Conti), Flagelle Echezeaux, Chambolle Musigny, Gevrey Chambertin and Marsannay, last village before arriving in Dijon. If you fancy it and are still « thirsty » of discoveries, we will continue our trip until Auxerre and the Chablis vineyards, well known for producing dry white wines. All of our trips are personalized according to what you want to visit, eat and drink. We recommend sending us a mail with your wishes. Soon after that, you will receive our customized suggestion with a quote. See you soon in the vineyards!